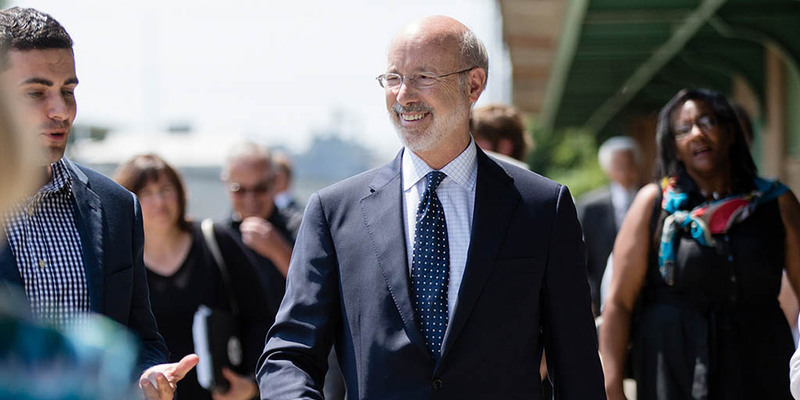 Harrisburg, PA – Governor Tom Wolf announced new low-interest loan approvals through the Pennsylvania Industrial Development Authority (PIDA) program for five business projects in five counties that will enable companies to grow and expand production, prepare an industrial park for occupation by businesses, and enable another company to locate into Pennsylvania for the first time. The projects are expected to create and retain more than 925 full-time jobs. In 2018, PIDA has approved $76.5 million in low-interest loans that have resulted in $109.5 million in private investment and supported 4,167 created and retained full-time jobs. This month, PIDA approved a total of more than $3 million in low-interest loans to projects in Berks, Bucks, Columbia, Cumberland, and Luzerne counties. Greater Berks Development Fund was approved for a $510,000, 15-year loan at a 3.75 percent rate for the final phase of the acquisition of the Bern Township Industrial Park. The project includes the acquisition of two parcels located on Van Reed Road in Bern Township, bringing the total acreage of the industrial park to 98.2 acres. The park presents an opportunity to develop sites for small to medium-sized manufacturing facilities and is expected to employ approximately 800 people upon full build-out. Imageworks Corporation, a manufacturer of prepress products for the printing, packaging, cosmetic, medical, and advertising industries, was approved for a $560,000, 15-year loan at a 2.75 percent rate with a seven-year reset through the Bucks County Economic Development Corporation for the acquisition and renovation of a 31,200-square-foot building located in Tullytown. The purchase of this facility will allow the company to expand immediately into material distribution and to accommodate its growth, and renovations will include HVAC replacement, electrical and flooring upgrades, and ADA compliance upgrades. The project is expected to retain 17 full-time jobs and create an additional three jobs in the next three years. AFC Industries PA. Inc., a manufacturer of ergonomically designed medical components and medical furniture products, was approved for a $400,000, 15-year loan at a 3.75 percent rate through SEDA-Council of Governments for the acquisition and renovation of a 56,390-square-foot building located on four acres in Berwick Borough. The company is looking to expand its manufacturing operation due to reaching maximum capacity at its location and has identified a manufacturing facility in Berwick to serve as the best place to expand. The project is expected to create 12 full-time jobs in the next three years. Harrisburg Glass LLC, a manufacturer of glass and aluminum products for commercial construction companies and residential consumers, was approved for a $571,117, 10-year loan at a 2.75 percent rate with a five-year reset through the Capital Region Economic Development Corporation for the purchase of a 27,000-square-foot facility located in Shiremanstown. By acquiring the building, the company will be able to expand its window encasements production and provide additional storage for finished products. The project is expected to retain 29 full-time jobs in the next three years. Summit Utility Structures, LLC, a producer of tubular poles for use in the utility, lighting, transportation, and communication industries, was approved for a $1 million, 10-year loan at a 3.75 percent rate through Greater Hazleton Community-Area New Development Org., Inc. for the purchase of machinery and equipment to be installed at the company’s new manufacturing facility located in West Hazleton Borough. The new equipment being acquired includes a CNC plate processor, welding equipment, sand blaster, long seamer, and overhead cranes. The project also includes a $100,000 working capital line of credit which will be used by the company to purchase steel required for its manufacturing process. The project is expected to create 25 full-time jobs and retain a further 42 jobs in the next three years.